With the fast pace of business today, it is difficult for us to track and manage our time. Even if you are working as a freelance, you still have to make your way through in organizing your time effectively. While there is a calendar app that we can use to set time and dates, it is still not enough. You want to manage time effectively and at the same time be productive. With this, you need a tool that can do a lot more than just a simple calendar. What you need is a time tracking tool that does not only manage your time but also ensures that you become productive at any given time. There are lots of time tracking tools available across the web and if you are not taking advantage of this tools then you are certainly missing out. So, to help you identify the right time tracking tool for you, we listed over 20 tools that are sure to help you manage your time effectively. Let us take a closer look at each tool, starting with Paydirt. Paydirt is a smart Web-based time-tracking tool that tracks how much time you have spent with each client. Paydirt has an intuitive interface that makes it easier to track time and monitor it. Their handy Chrome extension can be used to start a timer, and tracks time with just one click. You can also use it to constantly parse websites as you visit them for keywords. It integrates a general invoice system that is straightforward and very easy to use, a currency changer that is also an additional feature, and a detailed visual overview that helps you plan your time and resources. Paydirt is available for a price of $8.00–16.00 per month for single users and $29.00 per month for teams. But Paydirt offers a 30-day trial for you to test drive this tool. Everhour is also a Web-based time-tracking tool that helps your team reach the goals faster by engaging your team with flexible report system. While it has more team-focused features, Everhour is also a great option for freelancers who are looking for an effective time-tracking tool that can help them manage their valuable time. It has all the features needed for effective tracking including an impressive time entry. Everhour got the idea from popular apps like Fantastical and other software that utilizes single line and natural language detection to create entries. Using the time entry feature, you only have to indicate projects and the time, then the program will automatically start the timer. Everhour is free for personal use, but you can purchase this tool for $4.00 per month per user (for every additional team member). OmniFocus is a time-tracking app that brings your Mac, iPhone, iPad, and Apple Watch seamlessly together to keep track of your time and monitor everything you do on a regular basis. If you are a fan of Apple products, this is a very thorough time-tracking tool for you. OmniFocus allows you to create everything from detailed to-do tasks for a project to an extensive shopping and grocery list. Each project you create can be set up with goals and deadlines that help you achieve your project on time. You can also separate your work and everyday life with contexts, perspectives, and focus. Since OmniFocus does not follow a subscription model, you can own it outright by purchasing the standard version for $39.99, or the Pro version for $59.98. Hubstaff’s main focus is on teams. It is a time-tracking software that does not only tracks work time but also tracks leisure time of each team member, making it an effective time-tracking app for the team as it gives you a balanced overview between work and play. You’ll be surprised how useful this can be—to make sure you don’t go overboard in any one direction. Another cool aspect of this tool is the screenshot feature. It allows you to take a screenshot of your work and share it with your team. This is useful for documentation and collaboration. On top of that, Hubstaff also has reporting and billing systems. You can start using Hubstaff for free for 2 weeks. After the 14-day trial, you can purchase the basic version starting from $5.00 per month, or the premium version starting from $9.00 per month. ClickTime helps your entire team manage themselves by tracking the time they have spent on different projects and different tasks, clients, or employees. It uses data to figure out who has time to work on the next project, and it provides detailed reports to see the entire team’s data in one place. It also has a feature where it tracks the additional cost for each project. So, not only does it help you track time but it also helps you understand your business profits better. You can use the project insights to see the total cost and profit margin of your projects. ClickTime’s basic plan can be purchased for $10.00 per month per user with additional core features free. 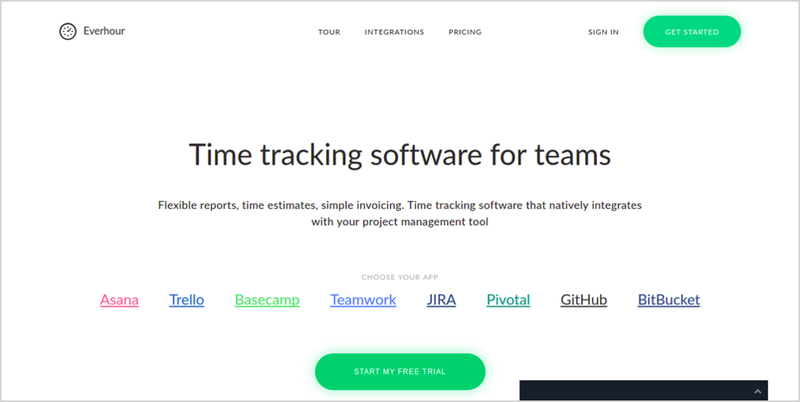 Timely is also a good time-tracking software that works well for both teams and freelancers of any level. It has a slightly different approach to time-tracking as it combines scheduling and time-tracking all in one place. Using this, it helps you accomplish your goals much quicker. Timely integrates with calendar software such as Google Calendar to block out different times of your day so you have more time working on different projects. Another good thing about this tool is that it works in the background, so you don’t have to spend half of your time checking if it is tracking or not. Essentially, set it and forget it. 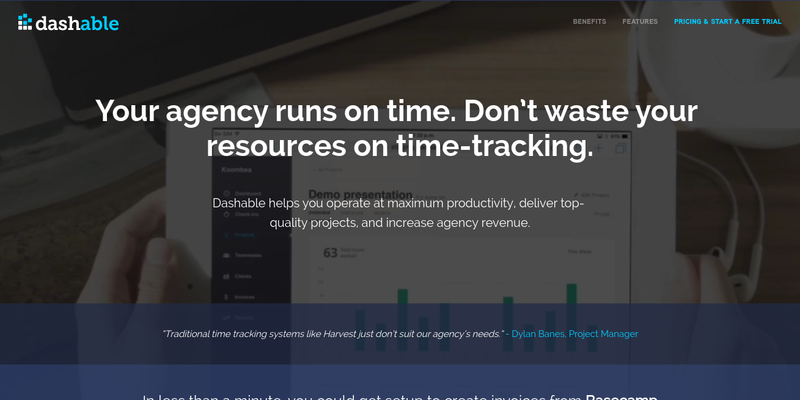 Timely is free to use for only up to 5 projects. You can purchase it from $14.00 per month for single user and $49.00 per month for teams. Dashable is mainly a project management software, but it is also a good time-tracking software—good enough to make the list. 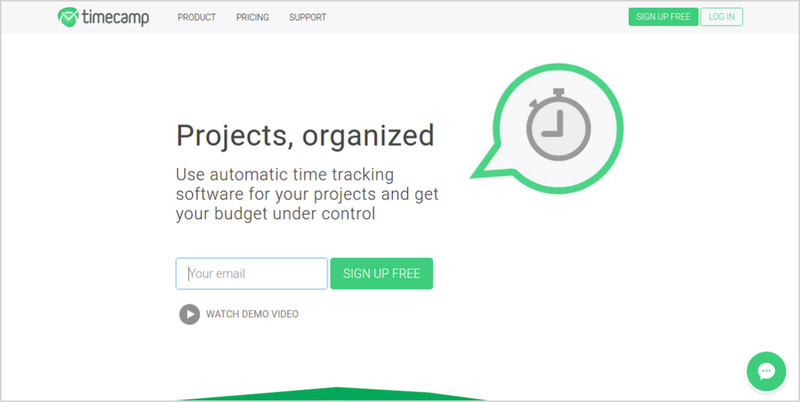 After all, you need a good time-tracking tool to help you manage your projects well. 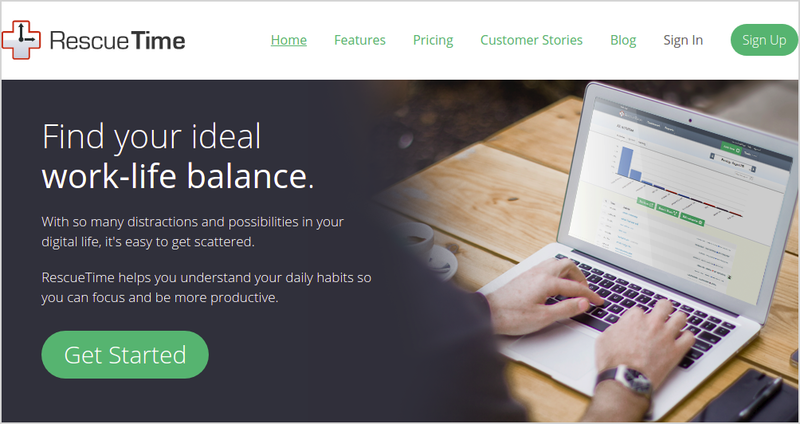 Dashable is a perfect tool that puts the two features altogether. The good thing about this tool is that it remembers all of your activities, including the time you have spent on each activity, and then it sends reminders to each member of your team regarding the projects you are still working on or projects that are finished. Dashable’s pricing starts at $79.00 per month for “studio version,” and $199.00 per month for “agency version.” They have “enterprise version,” but you have to contact Dashable for the price. However, you can try it out for free for 14 days. TimeCamp is a time-tracking tool that includes all the features you expected to see in a time-tracking solution. It also incorporates a lot of third-party software integrations that help you stay organized and manage your time effectively without being cut off. 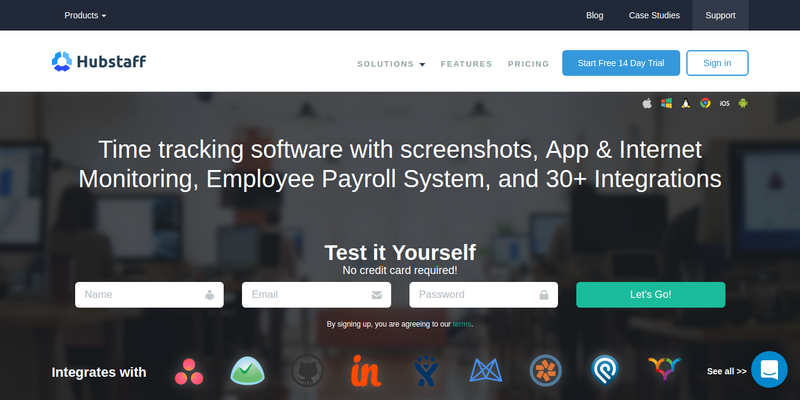 While this is made for teams, freelancers can also benefit from this tool. With its streamlined interface, tracking time is as easy as starting a timer or manually inputting the time. It also helps you group your projects into a list so you will never have a hard time looking for your projects. 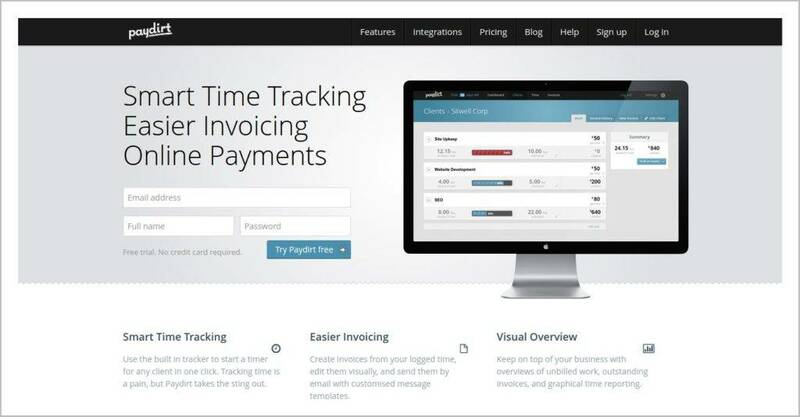 TimeCamp also offers invoicing features, project management, and counts profitability. TimeCamp is free for 1 user. Their pricing starts at $6.00 per month per user. RescueTime is an effective time-management software that lets you track your time while increasing your productivity. 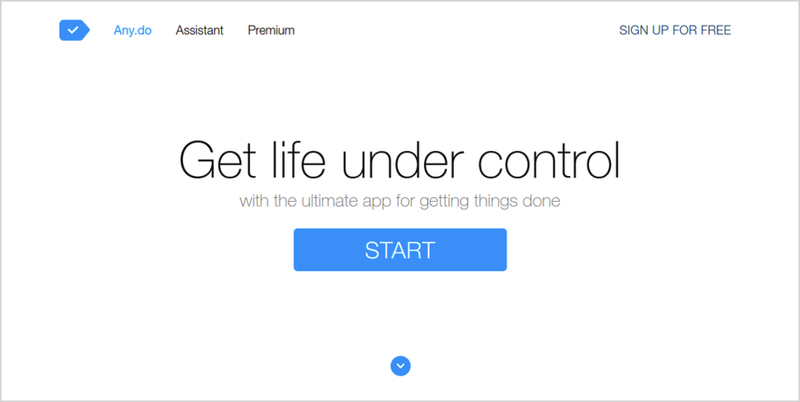 This tool ensures that you are using your time very effectively. Unlike other time-tracking tools, this one doesn’t need to be turned on to start tracking time. It automatically runs in the background to track everything you do. RescueTime will determine your daily activities on the computer and send you reports to indicate which site or application takes most of your time. So by the time you are working on your next project or task, you will know which site or app is distracting or productive. You can try using RescueTime for free up to 14 days. Their pricing starts at $9.00 per month and $72.00 per year with 4 months free. 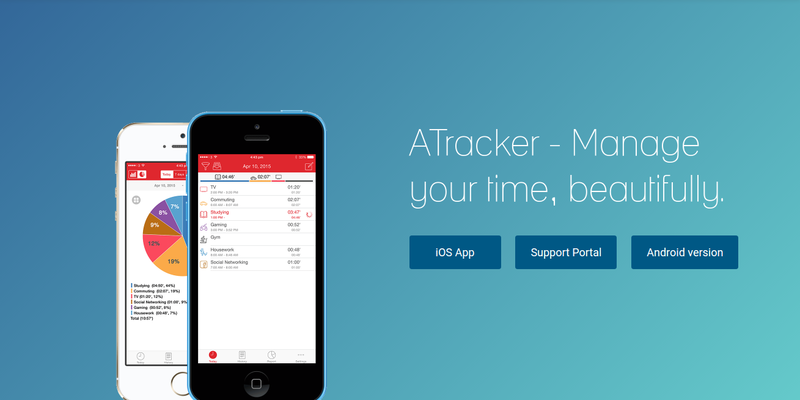 ATracker is a customizable time-tracking mobile application available for Android OS and iOS that helps you track your time and organize your tasks with clear and easy to understand reporting that will provide you insights on how have been productive. ATracker has a very intuitive user interface that lets you easily create tasks, start and stop events, keep notes for each task or activity, set alarms, create multiple tasks simultaneously, and export everything to email. It offers a huge library of icons and set customizability options to help you organize tasks more effectively and efficiently. The lite version of ATracker is free but their full version costs $4.99. Hours is also a time-tracking mobile application available only for iOS devices (their Android version will be released soon). It is a simple time-tracking tool that forgoes having too many features that could potentially confuse users. It is very easy to use and easy to understand. It has a virtual timeline, smart reminders, and detailed reports (which can be exported to PDF or CSV), to provide you with more ways to manage and track your time very effectively. It integrates a “Today” viewer widget that allows you to easily see what you have worked on in a given day. The good thing about this tool is that its free for a limited time. Tick is one of those simple time-tracking tools that also offers other productivity-related features such as project management and planning, task management, and time recording. Tick allows you to create time cards that let you add a project, a client or customer, and the time. Once set up, Tick will then start the timer. It offers good, detailed reporting to make all the data understandable and easy to comprehend. The Chrome extension of this tool and the application for mobile, desktop, and Apple Watch makes it very easy for users to track time with just a few clicks. Apart from that, Tick can also be integrated seamlessly with Basecamp, Quickbooks, and FreshBooks, making it ideal for teams. Tick is free for only 1 user with unlimited projects. However, their pricing starts at $19.00 per month for additional projects. 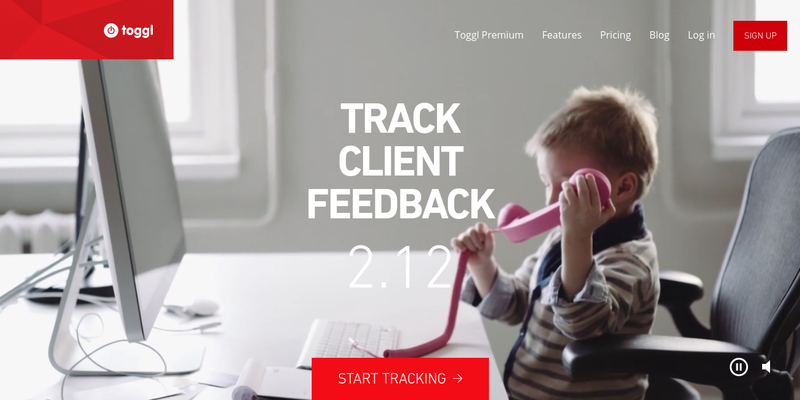 Toggle is a popular Web-based time tracking software that is mostly used by freelancers. It quickly becomes the people’s choice for time tracking and creating time management schedules because of its easy-to-use, intuitive, and very sleek design, making it ideal for first-time users. Their time tracking is very simple. All you have to do is to press the start button when you start working on your project and stop the timer once you are finished with the task. Another impressive feature of Toggl is that you can tag time entries in order to group activities across multiple projects and clients. Toggl is free for up to 5 users. You can purchase this tool for $10.00 per month per user for a Pro account. 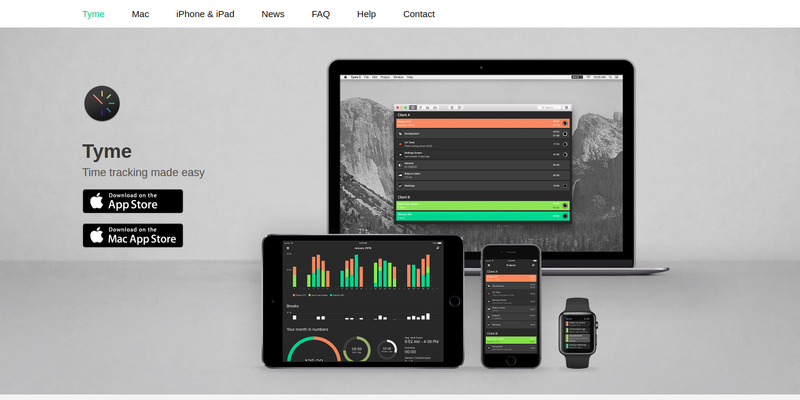 Tyme is modern and great time-tracking tool with a refreshing, colorful, and a clean design. It is also very easy to use and the interface can easily be understood. Time helps you track the time you have spent on each task, different projects, and clients. While it is not yet available for other OS (such as Android and Windows) the iOS version of this tool is packed with a great set of gesture controls which makes tracking time on mobile devices a joy to use. The desktop version utilizes keyboard shortcuts to make tracking time less of a pain in the head. Tyme’s mobile application costs $4.99 and the desktop version costs $9.99. Timeneye tracks your time on the go and wherever you are. It is a top choice for project managers, freelancers, and collaborators as this app not only tracks time but also boosts personal and team productivity. This tool records the time you have spent on different projects and tasks, and incorporates a timer that can be easily configured to fit your requirements. You can also integrate it with popular apps. The Web version of this tool allows you to generate reports for your team on each project and individual task. Timeneye offers a 14-day trial and will continue to be free for an individual user with unlimited projects and clients. But this tool costs $15.00 per month for two users and $24.00 for five. Harvest has been around since 2006, and since then has become one of the most popular time-tracking tools for teams and freelancers alike. It has a very well-designed and user-friendly interface, with a long list of third-party app integrations. Harvest has all the features you expect to see on a time-tracking tool, but what makes this tool stand out is the creator’s attention to details. With its intuitive dashboard, project mangers can easily see the status of their project with just a few clicks. Or they can go deeper for details, as this tool records everything. In addition, Harvest offers detailed reports and graphs. Harvest is free for 1 user with 4 clients. However, you can purchase this tool for $12.00 per month to service unlimited clients. 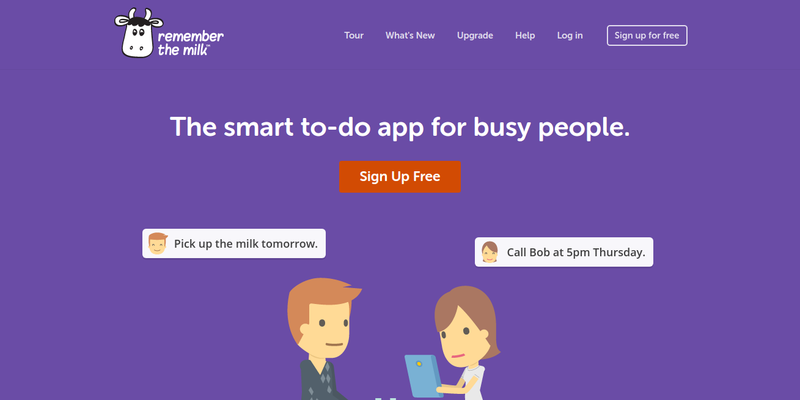 Timr is a cloud-based, time-tracking software for teams and businesses of any size. In fast-paced industries, you get more things to track as time passes, making Timr an ideal tool for busy businesses. As expected, this tool allows you to track how much time your team members spend on a project. Not only does this tool track time but it also tracks projects, tasks, drive logs, employee hourly rates, budgets, workforce, team members with higher permissions, and it even tracks GPS position. You can try Timr free for 30 days. Their “Regular,” “Plus,” and “Enterprise” versions cost $8.44 per user per month. Remember The Milk is a unique kind of time-tracking tool that breaks down your to-do list into sub-tasks and therefore easily manageable pieces. All of that can easily be accessed and retrieved using color tags and its unlimited sharing system. Remember The Milk can also be sync’d between the Web, desktop, and mobile versions. This tool lets you add and assign tasks to other people via email, and you will receive reminders on your mobile devices or smart watches so you will never forget a task. This tool is available on Android, iOS, Windows, Linux, and Mac, and can be integrated with other third-party apps like Gmail, Google Calendar, and Evernote. They have a free version and pro version. The pro version costs $39.99 per year. 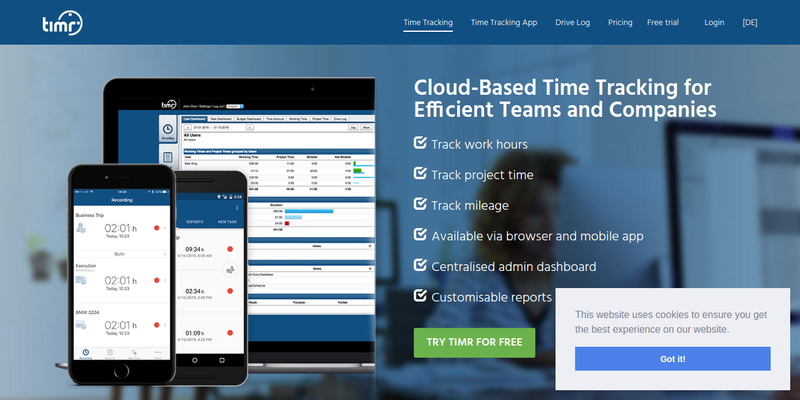 TrackingTime is a collaborative, cloud-based, time-tracking tool that helps teams manage their time, project, and working times effectively and increase their productivity. TrackingTime’s interface is very intuitive and user-friendly and allows you to group your time by different projects and clients. It offers comprehensive reports and graphs that tell you exactly how much you have spent your time working on projects and tasks. This tool has a browser extension for a one-click time tracking that is available for all supported browsers. TrackingTime also has a supported version for Windows, Linux, OS X, and Android devices. TrackingTime is free for up to 3 members. Their pro version starts at $4.99 per month. Any.do as a time-tracking app includes a to-do list, a calendar, a virtual assistant, and all the features you will need to track time effectively. It syncs all your plans, tasks, reminders, and projects across all supported devices and can be integrated seamlessly with Google Calendar, Exchange, iCloud and others. The assistant feature of Any.do uses AI to automatically review your tasks. The assistant, with your permission, can mark items on your list and do some checking by using a combination of live human beings and smart bots. Any.do is free, but you can purchase the premium version with additional features for $2.09 per month for a single device and $2.24 per month for unlimited devices. What Is the First Level of Management?